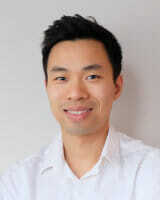 Justin Lee is a licensed acupuncturist in Toronto with a passion for helping people improve their health naturally. Justin believes in using an all-natural approach of traditional Chinese medicine in the art of healing. He obtained his education in Acupuncture from the Toronto School of Traditional Chinese Medicine. Justin enjoys getting to know his clients and working with them to resolve their day to day health concerns. With a focus on preventative medicine, he uses acupuncture to reduce stress, boost energy, and find inner balance. Treatments are focused on nourishing and rejuvenating the body back to an optimal state of health. Feel free to follow Justin on Instagram @acu_soul for food therapy recommendations to help balance your diet and your life.